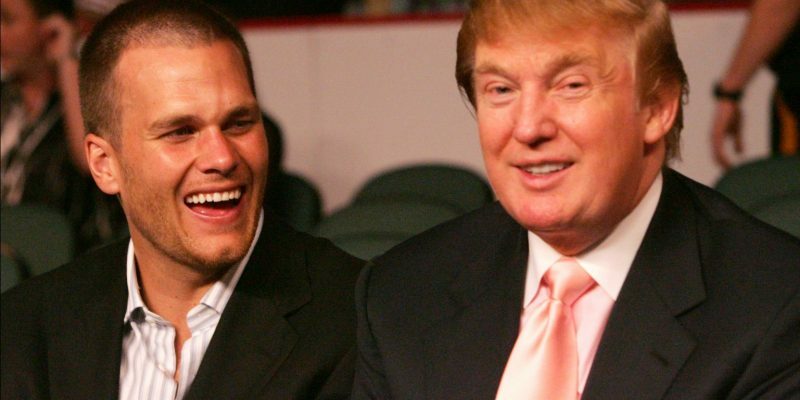 Trump Predicts Patriots Win Super Bowl, Names Brady G.O.A.T. It’s no secret that Tom Brady likes President Trump, the five-time Super Bowl champion took a lot of flack for keeping the iconic “Make America Great Again” hat in his locker. What is not as well known is Trump’s support for the New England Patriots. “They have a very special owner and coach, and certainly they have, I guess, the greatest quarterback of all time,” President Trump said in a Sunday interview with CBS “Face the Nation”. Evidently the President is pretty close with the Patriots’ team owner, coach and future Hall of Fame quarterback. All three expressed their support in 2016 for then-candidate Trump. If the Patriots win, it will not be their first time visiting the Trump White House. They were actually the first team to be invited after winning Super Bowl XLI in 2017. Last year, the Philadelphia Eagles were disinvited by President Trump after several players announced they would not attend. A CBS poll reveals that 19% of the country will join him in rooting for the Patriots while 31% are rooting for the rams. 50% of those surveyed did not care either way. “Congratulations on a tremendous campaign. You have dealt with an unbelievable slanted and negative media, and have come out beautifully – beautifully. You’ve proved to be the ultimate competitor and fighter. Your leadership is amazing. I have always had tremendous respect for you, but the toughness and perseverance you have displayed over the past year is remarkable. Hopefully tomorrow’s election results will give the opportunity to make America great again. Best wishes for great results tomorrow. Next Article ZOLA: J’Accuse, NFL!